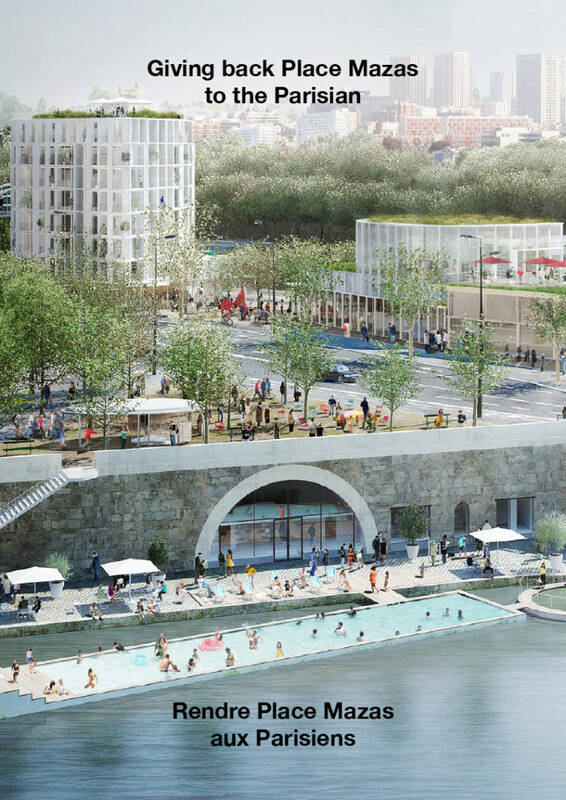 Office for Cities won Place Mazas’ bid, the most emblematic site of “Réinventer la Seine” contest. 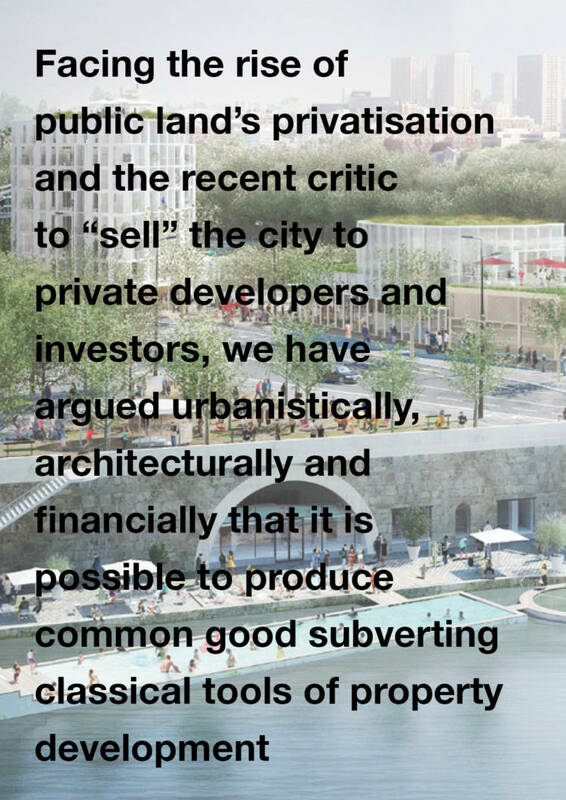 Located between the Bassin de l’Arsenal and la Seine, the site has a strategic public relationship within the urban fabric but has been neglected for the past 20 years. 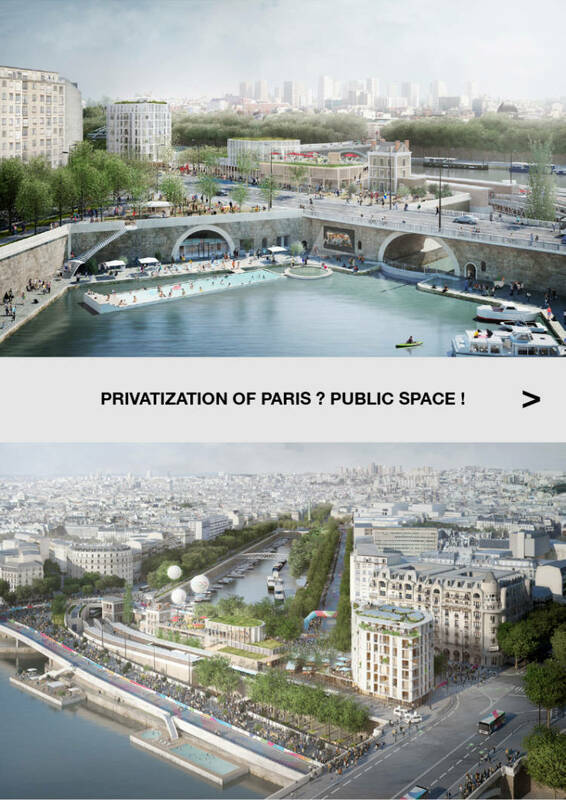 The project aims to reveal the potential of its public space by a temporary activation and a program that enhances the publicness of the site without privatizing the area.